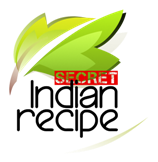 Collection of Festival Recipes submitted by home makers, mothers, grandmothers & Indian food lovers.Top Festival Recipes from Indian kitchen across various regions of India. Potato rosti for vrat farali / indian fa . . .